Rachel Schaap moved to Bemidji MN last December 30th, during the coldest part of the winter. She and her wife Elizabeth had started farming 3 years ago, in the mountains of North Carolina. "We had a small farmstead," Rachel explained. "We had our own garden plot, we had goats, chickens, rabbits, a couple farm cats - barn cats - and then our dog. I'd also volunteered down at the Veterans' Healing Farm, which is also in western North Carolina. They grow produce and provide it free of charge to the veterans up at the Asheville VA Hospital." Elizabeth took a job in Bemidji, so the couple moved north. Rachel was hired to manage the Bemidji Community Food Shelf urban farm. "I lucked out and found the job posting for the food shelf and jumped right in!," says Rachel. "I have a lot of ideas. I'm super excited and it's going to be a good season!" By jumping in, Rachel means that - for starters - she and food shelf volunteers started over 2,000 plants for the farm last weekend. "We planted tomatoes, onions, peppers and leeks. 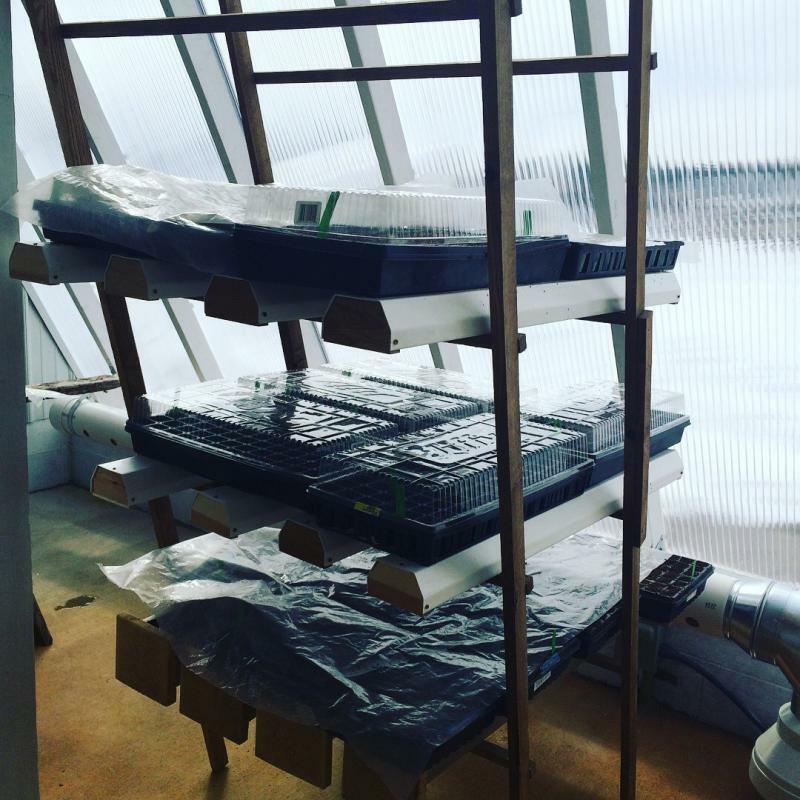 Those are the ones that need the most time in the greenhouse before we put them in the ground. And that's just the beginning." Bemidji Community Food Shelf is unique in having its own farm. 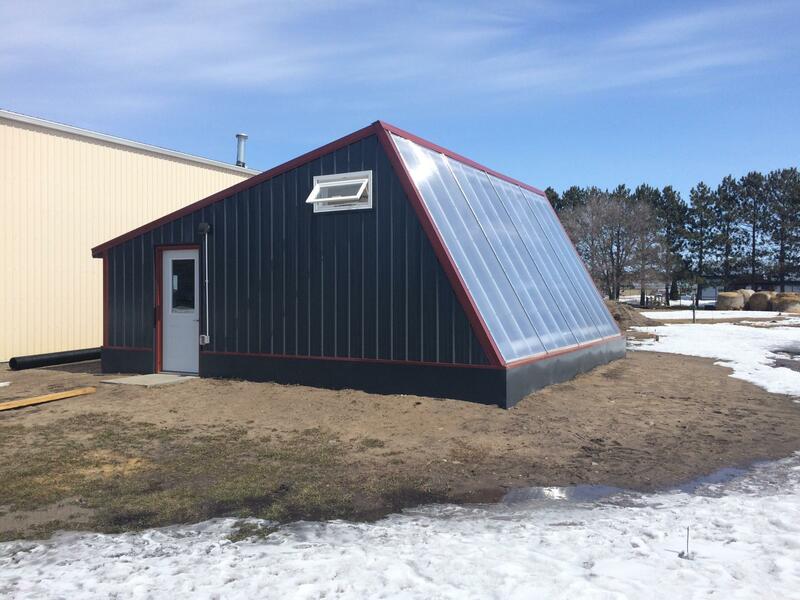 The food shelf provides food to over 3,000 families in the Bemidji area each year, and since 2013 that food has been augmented with fresh produce grown in its own urban farm. Emily Schaffer is an AmeriCorps Vista volunteer for the food shelf. "The farm is about 5 acres altogether," she says, "and that's including the land on the food shelf property and then there is land at the Developmental Achievement Center next door that they give us permission to cultivate as well. We've never had all 5 acres in production up to this point. Usually we're cover cropping some of it and trying to get the nutrients back in, We have a hoop house where we grew a lot of tomatoes last year as well as our new deep winter greenhouse, which is really useful for putting starters in. We haven't used it fully in production over the winter because we're still working out some of the mechanics of it through the U [University of MN]." 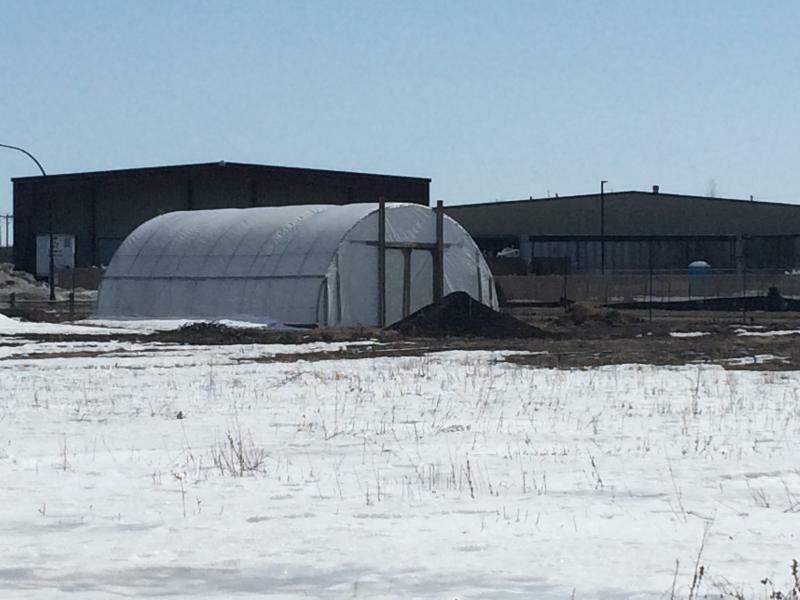 Next winter the deep winter greenhouse will be used to grow greens throughout the northern Minnesota winter for food shelf customers. Emily Schaffer was a volunteer in Bemidji at the end of the summer of 2015 as an AmeriCorps team member. "I was so inspired by the whole idea of a farm and fresh produce at a food shelf I just couldn't really get it out of my mind. I followed the food shelf on Facebook and saw they were looking for an AmeriCorps Vista volunteer which is a longer experience. 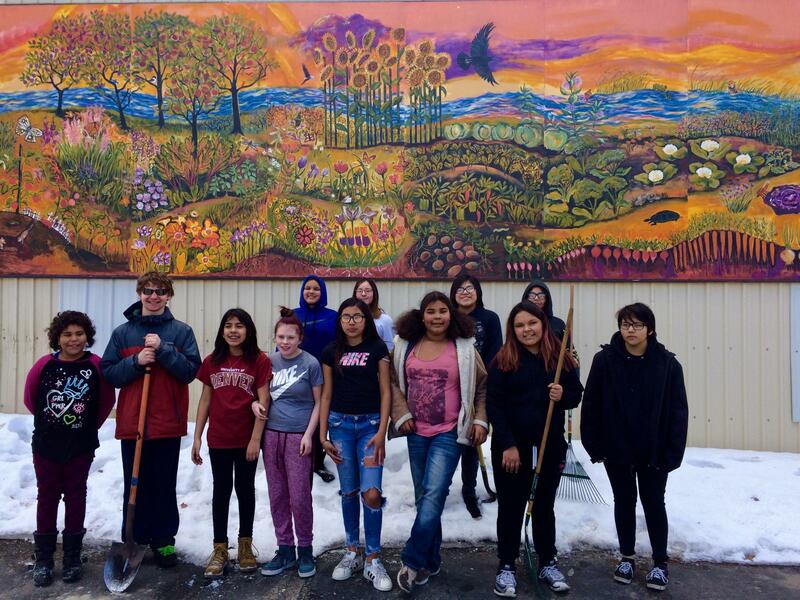 I jumped right in because they are such a great organization that they're not just worried about feeding people , but they're worried about giving them fresh and nutritious options." 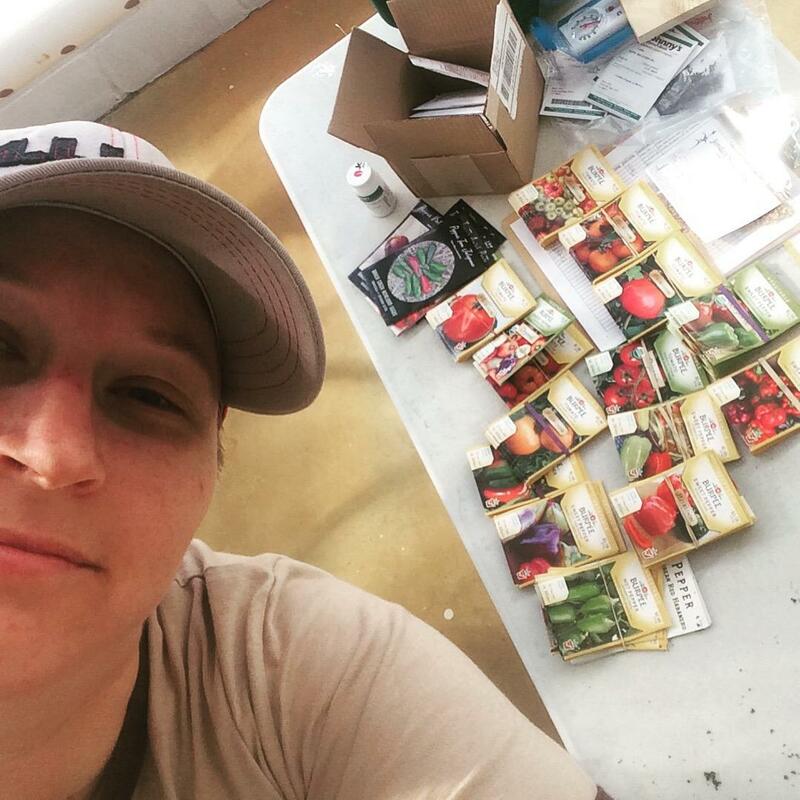 Farm manager Rachel Schaap has brought some new ideas with her, including a sponsorship program. Community members, groups and businesses are invited to sponsor different parts of the farm, such as a row of crops or a raised bed. Sponsorships for various $ amounts are available, so children could participate as well as adults. More information about volunteering at the Bemidji Community Food Shelf is in the audio interview below. You can also learn more about Rachel's plans for the farm's 2018 season. More information is available at the food shelf website and on Facebook. 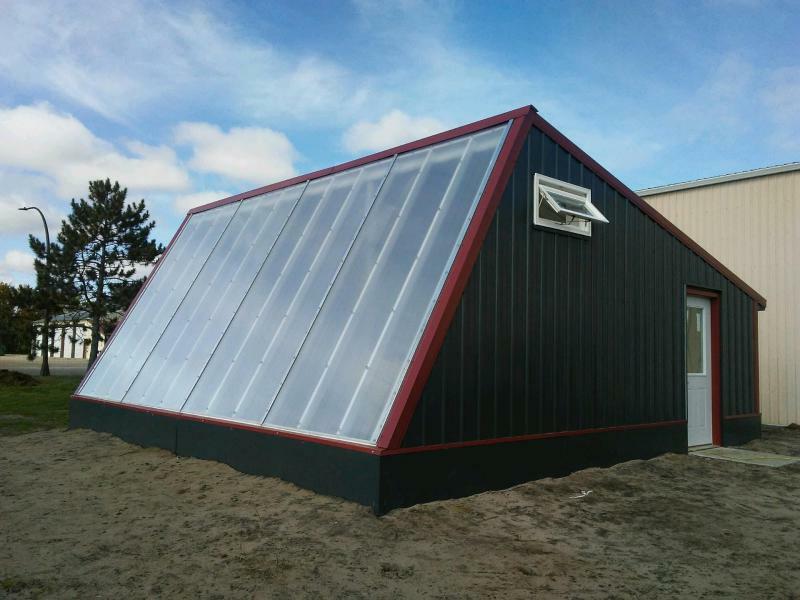 Bemidji Community Food Shelf grows its own produce on an urban farm at the Food Shelf site. 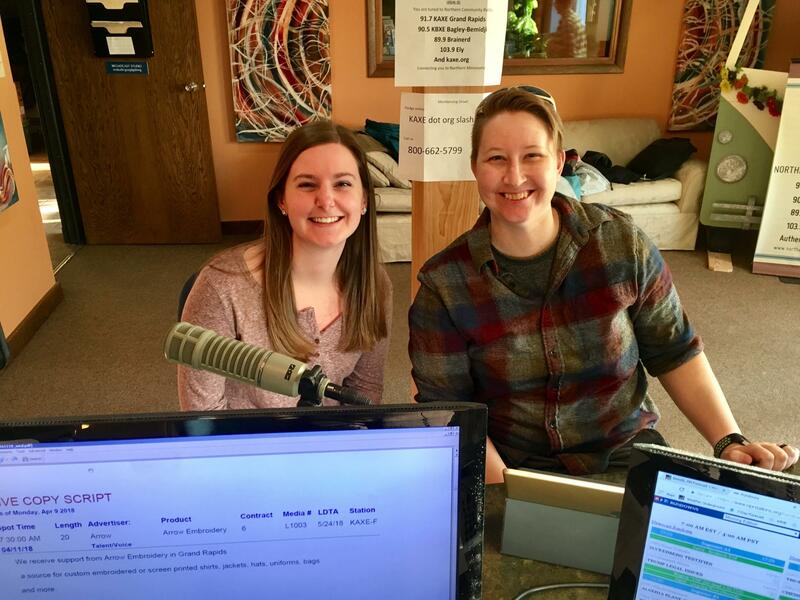 Farm manager Rachel Schaap and AmeriCorps Vista volunteer Emily Schaffer came in to explain how the farm works and how the community can become involved. The Bemidji Community Food Shelf relocated to the Bemidji Industrial Park in 2012. The new location, on a large plot of land, provided opportunity for a food shelf farm. The farm has produced fresh fruit and vegetables for the past four summers. 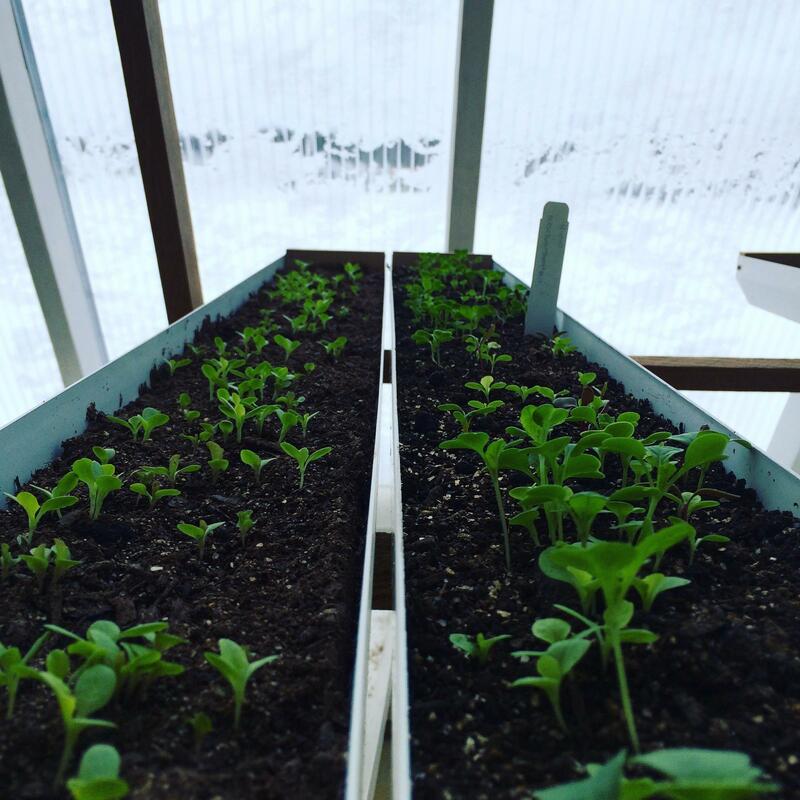 This fall, in addition to the farm, the food shelf has just completed a deep winter greenhouse that will provide fresh produce throughout the winter in addition to the summer crops.